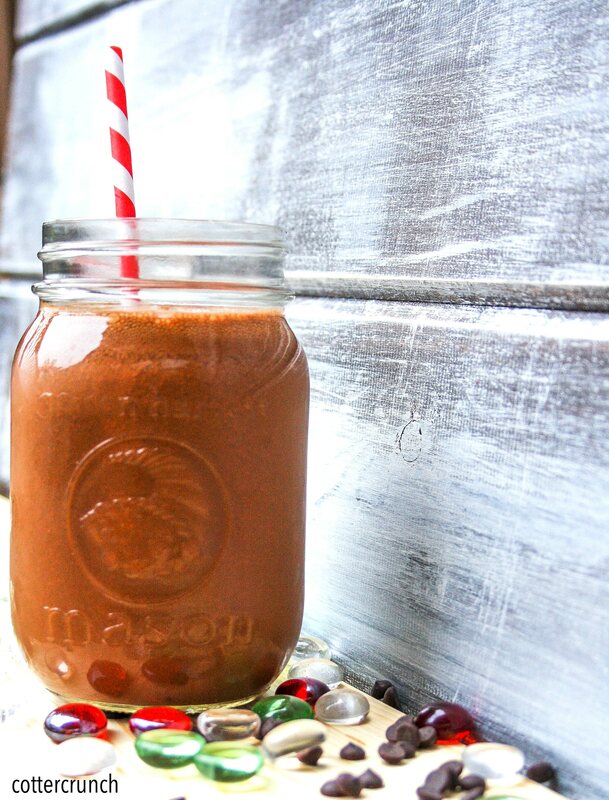 Super food super fruit cake chocolate smoothie! Yes, a cake smoothie packed with super fruit like berries, dark chocolate, and more! It’s healthy, paleo, and perfect for breakfast or post workout. 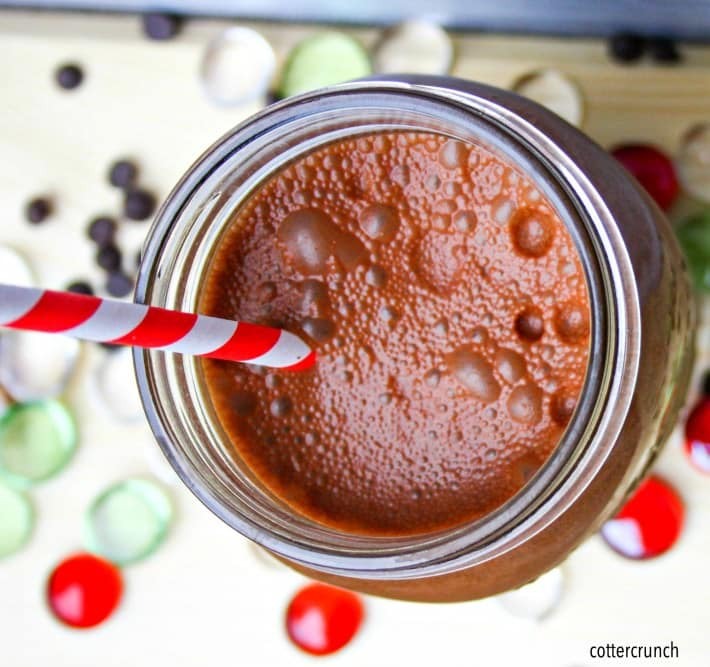 Cake in chocolate smoothie form, anytime! Well, today that giddy feeling is kinda still there, but along with it is a feeling of being rushed. Like an “oh crap I haven’t bought any gifts yet” kind of feeling. And an “oh my gosh why are these lines SO LONG let’s hurry it up people” kind of feeling. I know you can relate, right? Yes, I am that woman. The last minute shopper. One who rushes to get it all done in one or two days! I blame my husband. He’s super low key and saves everything to last minute, and over the course of our 7 year marriage, I’ve adapted to his ways…. hence Crazy Cotter Syndrome. Okay okay, I don’t blame everything on him, but I do blame myself. Being caught up in “life” obligations can be distracting. It can can cause me to miss this whole “HOLIDAY” season. It can cause me to STRESS instead of slow down and DE-STRESS. It can cause me to forget to rest and digest. Rest and Digest –> physically and mentally. Take a day, or two, or three, to digest REAL food. To let the nervous system calm down from all the hustle and bustle. To digest the SEASON (the slower the better). This past weekend I took “DIGEST ” day. And to kick it off, I focused on MAXIMIZING my nutrients with a festive SUPER “fruitcake” smoothie. 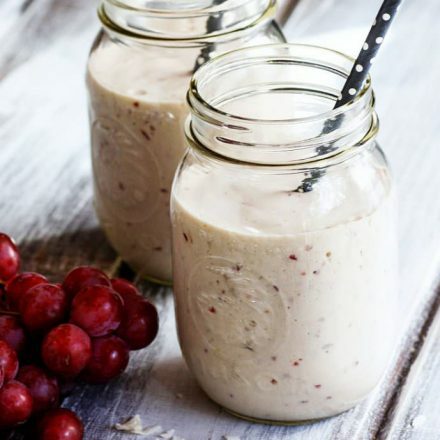 What’s in my SUPER FRUITCAKE smoothie? 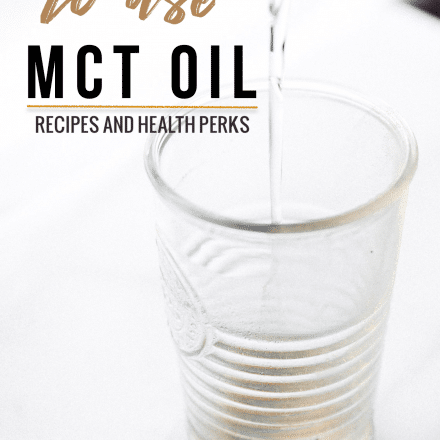 Grass fed Beef Gelatin -> helps soothe the colon so that nutrients may be absorbed and reduce any reflux caused my acid binding foods. Plus did you know that it actually has an ANTI-STRESS effect? It’s TRUE! Blueberry Bai 5 – An antioxidant drink with Coffee Fruit (don’t worry, doesn’t taste like coffee, it’s the fruit in which the bean is grown). Coffee fruit is a amazing SUPER FRUIT rich in antioxidants and helps fight free radicals. Remember, free radicals cause cell damage. Free radicals are caused by… well… STRESS. See, a fruitcake in a DELICIOUS and NUTRITIOUS form! Add liquid ingredients to blender. Then add in your fruit and puree and protein. Blend and serve! YUM! You diggin this yet? If not, you so should! Trust me! Alright friends, time to tackle the last bit of shopping. I’m feeling energized and FESTIVE! The countdown to Christmas is on, bring it! Favorite festive smoothie? Are you taking time to digest during the Holiday season? Stay thirsty, HEALTHY, and have a marvelous Monday! Looking for More MEATLESS Monday recipes? Check out Deborah and Tina’s Link up! This smoothie makes fruit cake sound appetizing, haha. Love it! And yes, SO important to take time to rest and digest this holiday season and always. 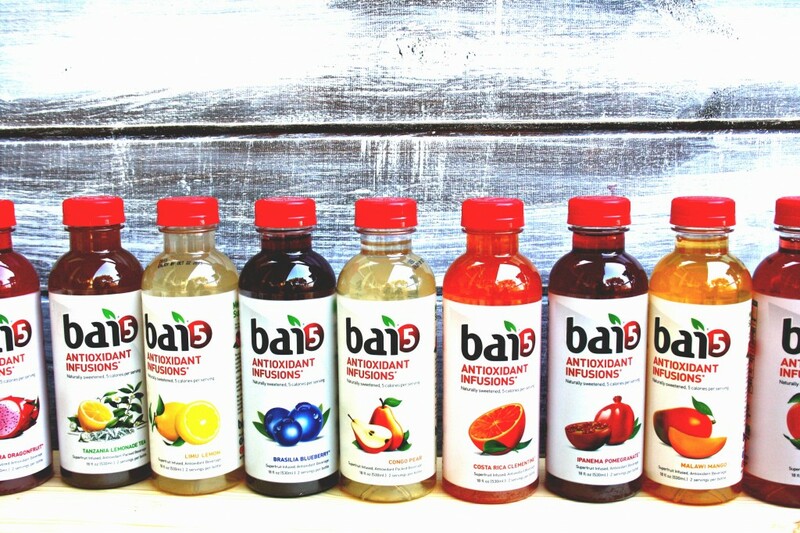 I’ve heard such great reviews on those Bai drinks. Very creative way of adding it to your smoothie 🙂 Happy holidays beautiful! oh I think you and babies would LOVE Bai! Haha yep. I have that same giddy rush feeling….althoguh I have done my christmas shopping, just feel like I have a lot to do before I can relax. I think this is another meatless monday recipe, what a great idea Lindsay! Love it! i’m on it! 😉 i keep forgetting. DOH! Grass fed beef gelatin, eh? you would love the gelatin! i get it from out apothecary or on amazon! a MUST for runners! really! I have all this… totally making it this am! I was seriously so behind on everything too. I haven’t even made cookies yet. I think I need gelatin in my life every day. This looks amazing & NuttZo to? Yum! So healthy and delicious, plus I have all the ingredients in my house right now, which is strange since I’m out of almost everything else! Score! haha that was me! hence this recipe. actually, i’ve tried it with hemp protein too! SO GOOD! Oh my word, this looks amazing! I love all the ingredients! Must try soon. I love the ingredients of this smoothie – I still have pumpkin at home, MUST make it! So funny b/c I used to hate the boxed, yucky fruitcake my mom always bought growing up. 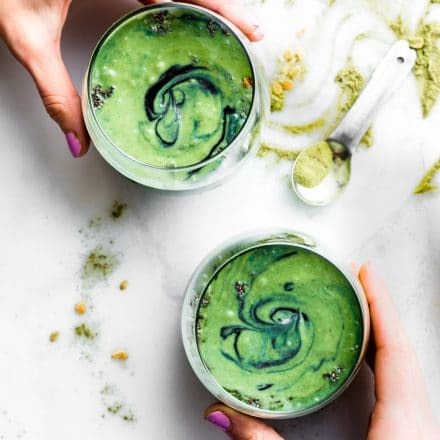 Now this smoothie is a different, and much improved, story! This sounds delicious! (And way better than fruitcake, haha.) Merry Christmas, Lindsay! This looks great! I have grass fed gelatin, but I thought it might cause a shake to get too thick. Looks like it will work. Thanks for the recipe! I adore fruitcake (yeah I know I am nutso!) so this smoothie I would need by the Keg! never wanted fruitcake before . . . but now I suddenly need this smoothie! I will try that tomorrow (with vegan protein)! I didn’t see it early enough or could have had it this morning instead of my pumpkin-ginger-banana one! It’s funny how we start to become more like our spouses, isn’t it? Let’s hope it’s the best traits we rub off on each other! I love those Bai drinks, too! i was pleasantly surprised with bai! lovin it! this looks awesome! 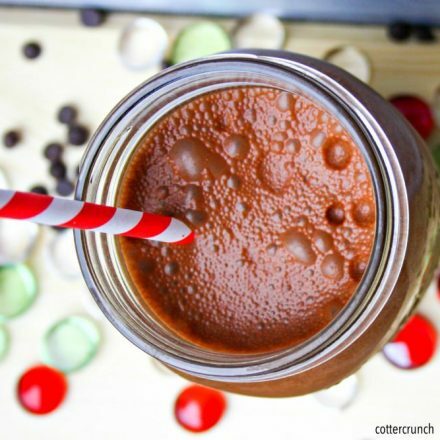 love the fruit + cocoa + nut butter combo! I’m actually DONE with my shopping and only have 2 things left to wrap. Woot! But that baking… it’s going to be a looooong day tomorrow. Yum! This looks and sounds incredible! thanks kristy! and good to hear from you! Once again…Drooling over this. I think half of my recipe book is your creations haha! One of the many benefits of making all my gifts is that I avoid the lines! And making them is a stress-relieving activity, too. I get to knit while watching good movies or listening to great music or podcasts. Win-win-win! I’ve only tried one of the Bai flavors and it wasn’t really for me. I’m too cheap to buy them more often, but I’ve heard great things. which one did you try? i liked them all but apple. but i’m not a huge fan of apple. The coconut if freakin amazing! And knit me something while you’re at it! I seems as though I have a stutter. I am usually pretty relaxed around the holiday, but not so this year haha. My apartment is in complete disarray with the move and I feel a little bit like a chicken with its head cut off haha. 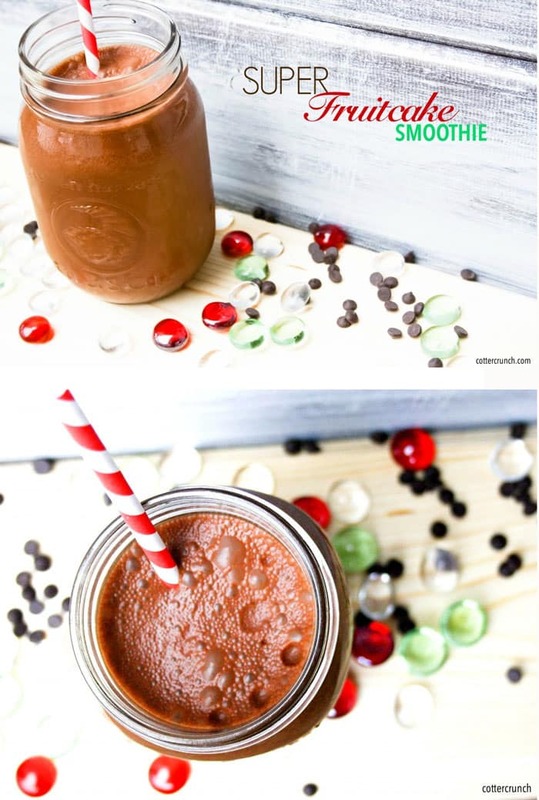 But this smoothie sounds divine and perfect to take on the go, so I gotta give this a try! we chickens need to stick together. LOL! Dude, I despise fruitcake but this….This needs to happen because of the ingredients you’ve used!! PS Guess what just opened down the road- ‘Kiwi Fish and Chip shop- The traditional NZ way’ lolol. No joke, I will have a fried mars bar in James’ honour. OMG! he will love that! I was out shopping yesterday – it’s not the crowds for me, it’s trying to find my car in the parking lot! I love this recipe-it sounds like a great break from wrapping presents. 🙂 Hope you have a wonderful holiday season and 2015! yay! can you make it 5 more days? not a fan of actual fruitcake, but this looks mighty tasty! Plus it’s way healthier without all of those artifical colors and flavorings! Yum!